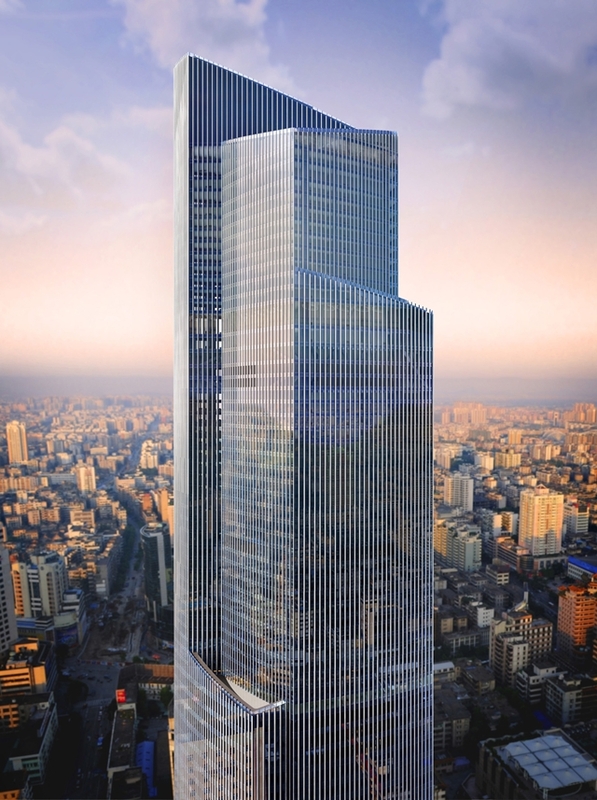 The Chow Tai Fook is a mixed-use skyscraper currently rising in the Guangzhou's central business district. 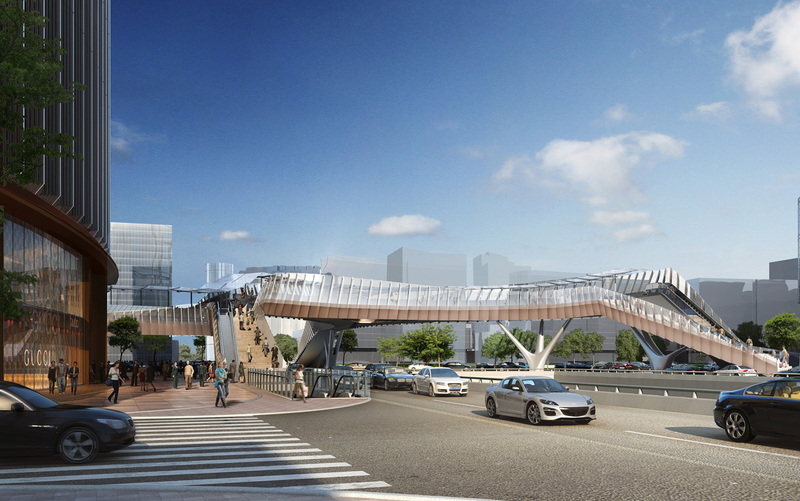 As you can guess, it will be one of the tallest buildings in China and the world as well. 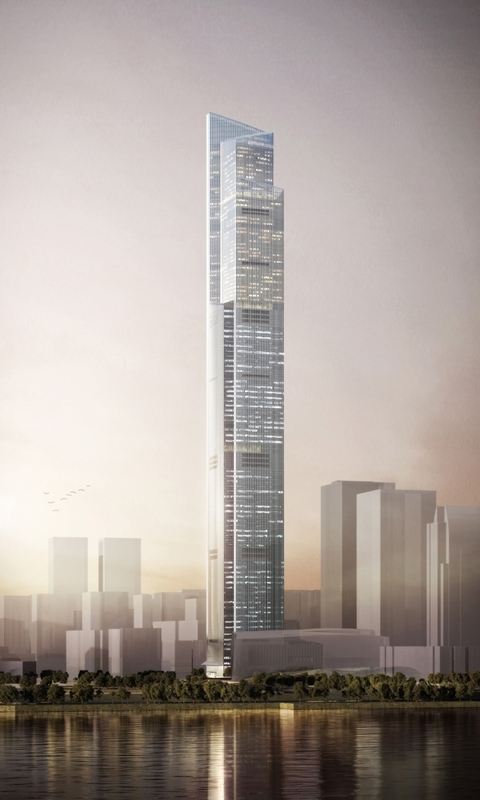 This 5.4 million ft2/508,000 m2 project will be 530m (1,739ft) tall with 111 floors. 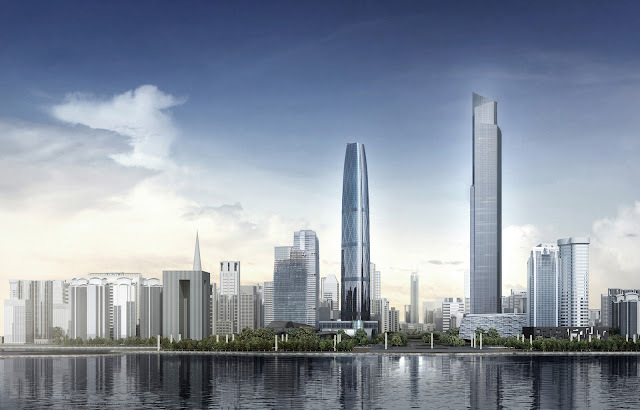 New modern skyscraper designed by the Kohn Pedersen Fox Associates will dominate Guangzhou's skyline. 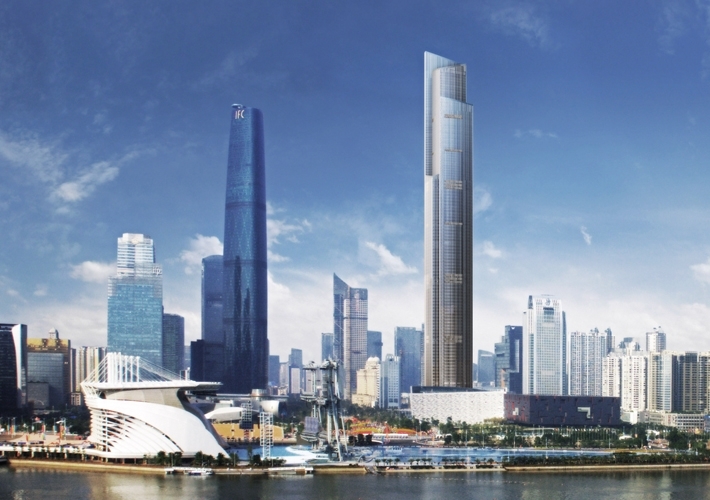 "As one of the tallest buildings in Guangzhou's Zhujiang Xincheng CBD, the CTF Guangzhou anchors an already distinguished skyline. 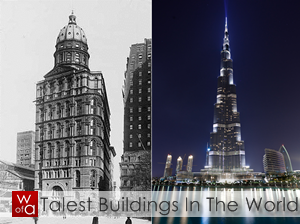 Its form sets back at four major transition points: 1) office to residential; 2) residential to hotel; 3) hotel to crown; and 4) crown to sky. Each setback shrinks the floorplate according to program requirements and creates sky terraces for tenants to enjoy. The 530-meter CTF Guangzhou (East Tower) forms an urban triumvirate with the 440-meter International Finance Center (West Tower) and the 600-meter Canton Tower (TV Tower). 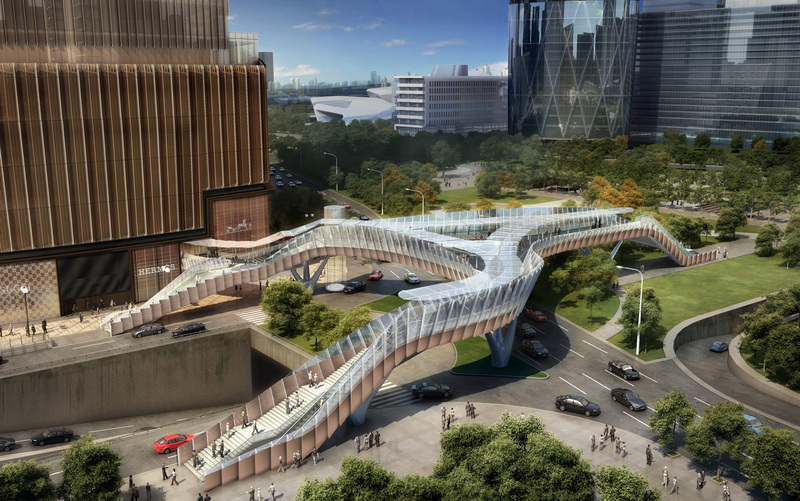 All three towers share curving floorplates and surfaces articulated with bright white lines. 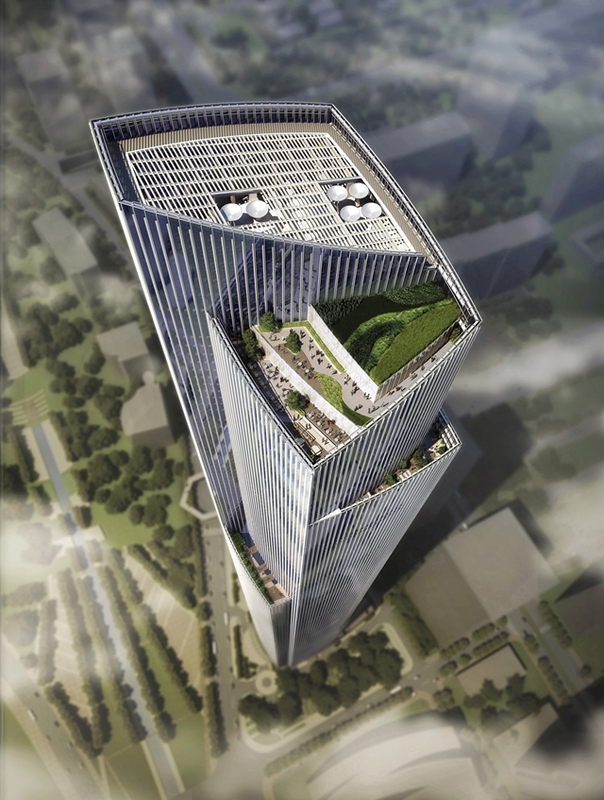 In the West Tower, the white lines are an internal diagrid; in the TV Tower, the lines are a torquing exoskeleton; and in KPF's East Tower, the lines are a high-performance skin. 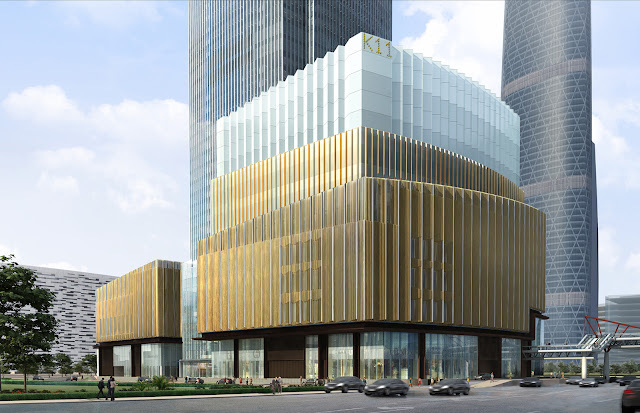 High-performance means that the CTF Guangzhou's white lines conceal operable windows, LED lighting, and window-washing tracks, as well as providing significant solar shading. The white color is provided by glazed terracotta, a renewable resource with a low carbon footprint. As in ancient Chinese ceramics, the white crackled glaze catches the light in ever-changing ways and provides a poetic frame for the panoramic views out. By using terracotta as the major facade element, the CTF Guangzhou ties itself into a long tradition of Chinese craft."